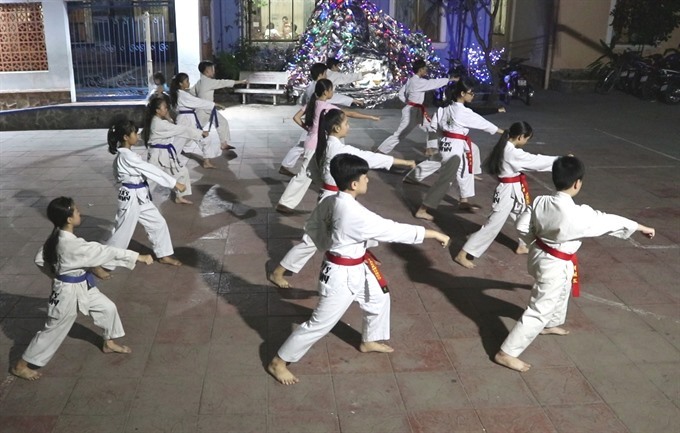 HCM City — Every week, a group of people with disabilities, poor kids and orphans gather in the front yard of a social centre in HCM City’s Bình Tân District, laughing, playing and getting ready for their taekwondo class. Phan Thị Hoàng Dung, a former taekwondo instructor, opened the club seven years ago with the help of Master Michael Sirota, principal of Sirota’s Alchymy, a Canadian-based school that teaches martial arts and life skills. Most of her students are from The Village Chance, one of three centres of Maison Chance, a non-governmental organisation that provides housing, healthcare and vocational training for orphans, street children, the disadvantaged, and the physically handicapped in Việt Nam. Trương Phạm Minh Thư, an orphan who has been in the class for nearly three years, says she like spending time with her peers and they get along with each other well. Huỳnh Văn Giàu, a 27-year-old who suffers from an intellectual disability, says the class is always full of energy, with nice, hard-working students and enthusiastic coaches. 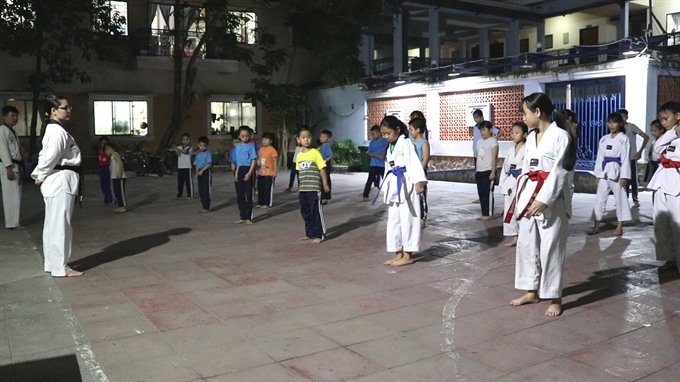 Dung, who was formerly with the Việt Nam Taekwondo Federation, says she has had experience with different forms of taekwondo practices used around the world. 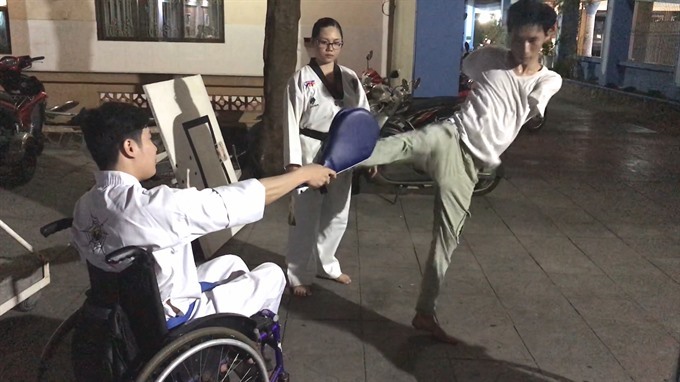 Việt Nam has para-taekwondo (adapted to athletes with disability) classes, but the practice is not as well developed as in other countries, according to Dung. “Their disabilities harm their back muscles. Sitting up straight is difficult for them. We can stabilise our backs as we punch, but it’s hard for them to maintain balance since their backs are weak. 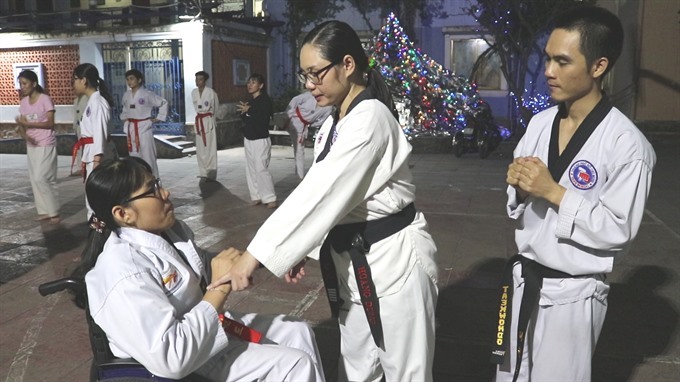 It looks easy to us, but to keep their balance, they have to practise really hard,” says Dung as she helps wheelchair-bound students practise their punches. Võ Thị Phương, who has been taking the class for around five years and has taken part in taekwondo performances, says the class has boosted her confidence and improved her health. Phương, who uses a wheelchair, says she was “very moved by Dung’s effort” to create a special exercise plan for her. Trương Thị Vân Anh and Nguyễn Hoàng Ril, two other wheelchair users, say the class is like a second home, a fun and relaxing place to be. They also love spending time with the kids there after a long day of hard work. Trần Anh Sang, whose arms were amputated after an accident, says that before he began taking the class everyday activities were challenging and his limbs were stiff, but now he feels that his health has improved and daily activities are now easier to do. “I feel more energetic, and I can walk anywhere I want, which I could not do after my accident,” Sang says while practising stances and kicks.